The Orthodox Tewahedo churches currently have the largest and most diverse biblical canon within traditional Christendom. Western scholars have classified the books of the Orthodox Tewahedo biblical canon into two categories — the narrower canon, which consists mostly of books familiar to the west, and the broader canon. While the main purpose of this article is to discuss and highlight the books that are exclusive to the broader canon, it is impossible to do this without at least some discussion of the narrower canon. The Orthodox Tewahedo broader canon in its fullest form includes the narrower canon in its entirety, as well as nine additional books. It is not known to exist at this time as one published compilation. Some books, though considered canonical, are nonetheless difficult to locate and are not even widely available in the churches' home countries of Ethiopia and Eritrea. While the narrower canon has indeed been published as one compilation, there may be no real emic distinction between the broader canon and the narrower canon, especially in so far as divine inspiration and scriptural authority are concerned — and more especially among clerics who may have a greater access to all of the writings. The idea of two such classifications may be nothing more than etic taxonomic conjecture. The Orthodox Tewahedo narrower Old Testament canon contains the entire Hebrew protocanon. Moreover, with the exception of the first two books of Maccabees, the Orthodox Tewahedo canon also contains the entire Catholic deuterocanon. In addition to this, the Orthodox Tewahedo Old Testament includes the Prayer of Manasseh, 3 Ezra, and 4 Ezra, which also appear in the canons of other Christian traditions. 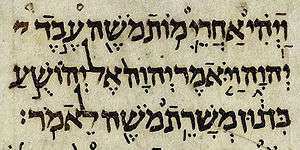 Unique to the Orthodox Tewahedo canon are the Paralipomena of Jeremiah (4 Baruch), Jubilees, Enoch, and the three books of Meqabyan. The books of Lamentations, Jeremiah, and Baruch, as well as the Letter of Jeremiah and 4 Baruch, are all considered canonical by the Orthodox Tewahedo churches. However, it is not always clear as to how these writings are arranged or divided. In some lists, they may simply fall under the title "Jeremiah," while in others, they are divided various ways into separate books. Moreover, the book of Proverbs is divided into two books — Messale (Prov. 1–24) and Tägsas (Prov. 25–31). Additionally, while the books of Jubilees and Enoch are fairly well-known among western scholars, 1, 2, and 3 Meqabyan are not. The three books of Meqabyan are often called the "Ethiopian Maccabees," but are completely different from the books of Maccabees that are known and/or have been canonized in other traditions. Finally, within the Orthodox Tewahedo tradition, 3 Ezra is called Second Ezra, 4 Ezra is called Ezra Sutu'el, and the Prayer of Manasseh is incorporated into the Second Book of Chronicles. The Orthodox Tewahedo narrower New Testament canon consists of the entire 27 book Christian protocanon, which is almost universally accepted across Christendom. In addition to the nine books discussed below, all of the aforementioned books of the narrower canon are also by definition part of the broader canon. The Orthodox Tewahedo broader Old Testament has one additional book: the Ethiopic version of the Book of Joseph ben Gurion or Yosëf wäldä Koryon, elsewhere called Josippon, or referred to by its author, Pseudo-Josephus, categorizing its authorship as pseudepigraphaphical. The book is a history of the Jewish people thought to be based upon the writings of Josephus, in eight parts. The Orthodox Tewahedo broader New Testament canon has eight additional books. These are the four books of Sinodos, the two divisions of the Book of the Covenant, Ethiopic Clement, and the Ethiopic Didascalia. Most of the literature herein would either be considered part of the writings of the Apostolic Fathers or part of the Ancient Church Orders. The Ethiopic canonical Sinodos are four books of church order traditionally attributed to the Apostles. They are as follows: Ser`atä Seyon (30 canons), Te'ezaz (71 canons), Gessew (56 canons), and Abtelis (81 canons). Much of the material contained within these books, with the exception of Ser`atä Seyon, is traditionally considered to be of Clementine origin. Other non-canonical parts of the Sinodos are included with these four books within the Ethiopic MSS. 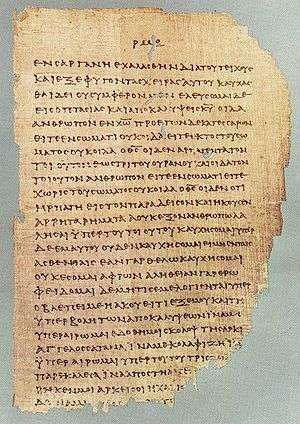 The Ethiopic canonical book of Clement, or Qälëmentos, is distinct from the well known Epistles of Saint Clement—1 Clement and 2 Clement—as well as the aforementioned Clementine Sinodos and any other Clementine literature known in other traditions. It is a uniquely Ethiopic book in seven parts, purportedly by Peter to Clement of Rome. The Ethiopic Didascalia, or Didesqelya, is a book of Church order in 43 chapters, distinct from the Didascalia Apostolorum, but similar to books I–VII of the Apostolic Constitutions, where it most likely finds its origins. 1 2 3 Ethiopian Orthodox Tewahedo Church (2003). "The Bible." Available online at the Ethiopian Orthodox Church's website. Retrieved 24 February 2012. 1 2 Cowley, R.W. (1974), "The Biblical Canon Of The Ethiopian Orthodox Church Today", Ostkirchliche Studien, 23: 318–323, retrieved 30 March 2016 . 1 2 3 Cowley 1974, footnote 4. Selassie, Feqade, ed. (2008). Ethiopian Books of Meqabyan 1–3, in Standard English. Lulu.com. Harden, J.M., ed. (1920). The Ethiopian Didascalia. Translations of Christian Literature, Series IV: Oriental Texts. London: Macmillan. Mikre-Sellassie, Gebre-Amanuel (1993). "The Bible and Its Canon in the Ethiopian Orthodox Church". The Bible Translator. 44 (1): 111–123. doi:10.1177/026009359304400102. Platt, Thomas Pell, ed. (1834). The Ethiopic Didascalia; or, the Ethiopic version of the Apostolical constitutions, received in the church of Abyssinia. London: Oriental Translation Fund of Great Britain and Ireland.